Recently, Lagos State Governor, Mr. Akinwunmi Ambode, recorded yet another first when he signed seven vital bills into law. Perhaps, the most noticeable of the lots is the Yoruba Language Preservation and Promotion of Law which represents a cognizant reflection of the position which Lagos State prides Yoruba language as the cultural vehicle for articulate communication. With the signing of the bill, the teaching of Yoruba language is now compulsory in both private and public schools in the state. The law also mandates all state-owned tertiary institutions in the state to integrate the use of the language as a course unit into their General Nigeria Studies, GNS. The Yoruba Language Preservation Law has been commended, and rightly so, by various stakeholders across the land, as very vital to the preservation of Yoruba language, especially at time when the language is almost going into extinction. Yoruba Language, like every other indigenous language across the world, deserves its rightful place and recognition like other foreign languages in our school system. 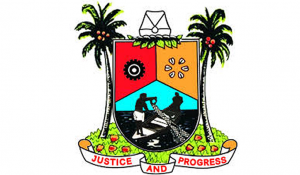 The new law epitomizes the revival of Yoruba language and I am certain that advocates of the language such as late Prof. Akinwunmi Ishola and Adebayo Faleti would be grinning in their graves, and commending the initiatives of Mr Akinwunmi Ambode, who has not allowed it to die. Today, it is evident that Yoruba language is in dire need of revival, and fast too, as scholars of the language is fast diminishing. Unlike what obtained in time past, hardly do we now have students taking up Yoruba as a course in our universities. The importance of language in any society cannot be overemphasized. Language serves as a strong means of communication in every society and as a vehicle of reaching every strata of the community, either at the grass-root or elitist. Therefore, the recent signing of the Yoruba preservation law by Governor Ambode signifies a signpost to the relevance of mother tongue in every society, regardless of adoption of foreign languages as bilingual, multilingual or lingua-franca. Besides its arts and culture dimension, the new law will further help in achieving the dream of integrating the south-west as currently being spearheaded by Development Agenda for Western Nigeria, DAWN. It could, thus, be affirmed that Governor Ambode is a passionate promoter of Yoruba cultural values and interests. It will be recalled that it was under his leadership that Lagos became a member of Oodua Investments, one of the most enduring legacies bequeathed by the late sage and first Premier of the defunct Western Region, Chief Obafemi Awolowo, to serve as economic hub for the Yoruba race. It, however, needs to be stressed that the law is part of the Ambode administration’s holistic plan to promote arts, culture and tourism in the state. The administration’s passion for the promotion of art and culture has earned Governor Ambode respect and honour among various arts, culture, and entertainment and tourism stakeholders in the country. Hence, from all perspectives, the Ambode administration is evidently not just paying lip service to the promotion of Yoruba culture and tradition. It is actually working hard through several policies, programmes and activities to ensure that the Yoruba culture and tradition is not in any way endangered. For instance, in the past three years, the State has displayed unlimited pride as the socio-cultural hub of sub-Saharan Africa with a five day show laced with the One Lagos Fiesta (OLF), a colorful multi-cultural expressions across the five divisions of the State. Similarly, the state government has continued to maintain all existing heritage and historical monuments in the state. Some of such monuments include the Tinubu Square Fountain, Statue of King Ado (the First Crown King of Lagos), statue of Prince Olofin Atekoye, Ma’ami statue, Ojuloge statue among others. Any society that disregards its language will in no time become extinct. Today, China has become a force to be reckoned with in the world. The instructive thing about the growth of China is that as it grows across all sectors, its language, culture and tradition equally develop even beyond its borders. As Mandarin (Chinese Language) receives wide acceptance, many have various reasons to learn it, especially considering its benefits as one the most essential foreign languages at the moment. Gradually, Mandarin is becoming one of the world’s most spoken languages. In addition to the People’s Republic of China and Taiwan, Mandarin is also spoken in places such as Chinese communities of Indonesia, Malaysia, Thailand, Brunei, Singapore, Philippines etc. As at today, China is the second largest economy in the world and one of largest trading partners of the United States, the nation thrives without allowing its indigenous language to play a second fiddle. Perhaps, the most important aspect of promoting the Yoruba language, or any language for that matter, is that it serves as a catalyst for the promotion of the culture, custom and tradition that the language embodies. This implies that whenever a language is preserved, the culture, custom and tradition that the language represents would equally be enhanced. Therefore, as the younger ones are being taught the language, they will also be exposed to the diverse culture and tradition that the language epitomizes and this goes a long way in preserving societal moral values. Today, it is regrettable to note that in many Yoruba homes, the means of communication with our children is English Language. Many parents even rebuke their children for speaking in Yoruba. The collapse in moral values as we presently experience in our society, without doubt could partly be a fallout of the adoption of foreign language and culture. Where are the Tales/Stories by moonlight, as been taught by our great grand fathers and mothers? Where are the “Aalo Apamo and Apagbe”, nobody remembers them any longer, we are all busy chasing monies around the cities. Any nation that forgets its culture and tradition will surely regret it, and this explains why the Governor of Lagos State, Mr. Akinwunmi Ambode should be commended for this bold initiative. To further complement this bold initiative, the State Government in the 2018 State Calendar of Tourism events, will be coming up with a few cultural events that will demonstrate the State’s seriousness towards promoting and preserving the rich cultural heritage of the State and the Yoruba Nation in general. Without doubt, this bold initiative of Governor Ambode further demonstrates his belief and resolve to lead the crusade towards reviving the “dying” Yoruba Language. To complement the new law and government’s total plan for cultural resurgence, parents need to go back to the tradition of storytelling to teach morals and cultural values; they need to begin to speak Yorùbá language to their children at home and encourage the children to do the same, thereby enhancing their knowledge and confidence in the language. The younger ones must be brought up to take pride in their language, culture and tradition. Our people should desist from seeing foreign languages as superior to indigenous ones. Living in a contemporary world where the rate of cultural influence and adaptation has become quite astonishing, diverse languages have found their ways into several parts of the world. According to Dr Oladele Orimoogunje, an Associate Professor of African Studies at UNILAG, Yoruba language is spoken in places as far as Cuba where it is called Lucumi derived from the word Olukumi (meaning my confidant, intimate friend or associate). In Brazil, Yoruba Language is called Nago which originated from the word Anago in Republic of Benin. In Trinidad and Tobago, Yoruba is a spoken language and it is known as Aku which is adapted from Yoruba predominant salutation words such as “E kaaro o; E kaa san o; E kaa ale o and Aku odun o etc. It is, thus, ironic that same language with such modest global appeal is grossly being undermined by its indigenous speakers. As Governor Ambode succinctly put it in an address he gave during the presentation of the Museum of possibilities, “Our country is blessed with a very rich culture and heritage. “This is the foundation on which all our social institutions and interactions are built. Unfortunately, we have neglected our culture and traditions to our own detriment.